At the next@acer global event, Acer has launched a new brand called ConceptD which will make products for graphic designers, filmmakers, engineers, architects, developers and other creators. 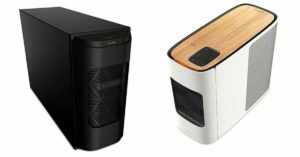 The ConceptD’s products will include a new line of high-end desktops, laptops and monitors, and all the new products will have a new design language for a quiet workflow and will have factory-calibrated displays for professional use. At the event, Acer unveiled some of the desktops and laptops in its ConceptD sub-brand. 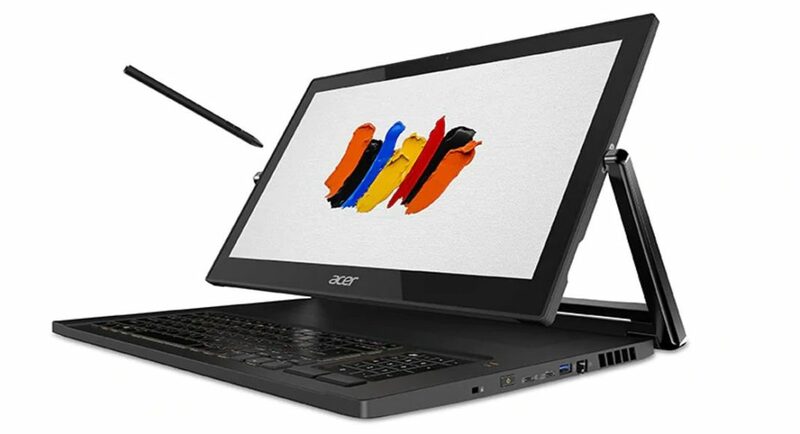 The ConceptD 9 laptop comes with a rotating hinge display like the Acer Triton 900 gaming laptop. It holds a 17.3-inch Ultra HD display, and since it is a convertible laptop, the hinged display can be used according to the type of need of the user. It can be used as a laptop, a display or a stand depending on the work of the user. The display also comes with Pantone Validation and covers 100 percent of the Adobe RGB color gamut. The display of the ConceptD can also work with a Wacom EMR stylus and supports up to 4,096 levels of pressure sensitivity for more accurate sketching. It is powered by the newest Intel CPU and Nvidia RTX GPUs. The RAM and storage configurations of the laptop differs as well. The ConceptD 9 laptop has a starting price of $4,999 (approximately Rs 3,47,500). On the other hand, the ConceptD 7 is a smaller and more portable version offered by the Acer’s sub-brand. The ConceptD 7 laptop sports a 15.6-inch calibrated Ultra HD display panel and it weighs 2.1kgs. Similar to the ConceptD 9, it too packs the latest Intel CPU and the NVIDIA RTX GPU for the processing and graphic power. But it also comes with NVIDIA’s Max-Q RTX series as the laptop is slim. It measures 17.9mm in thickness. The ConceptD 7 starting price is $2,299 (approximately Rs 1,59,900). Lastly, the ConceptD 5 which is the smallest laptop of the lot is also the slimmest and the lightest in the series. It measures at 16.9mm in thickness and weighs 1.5 kgs. It is powered by an 8th Gen Intel Core i7 CPU paired with a Radeon RX Vega M GL GPU. The ConceptD 5 uses magnesium alloy for the lid and palm-rest areas, it also offers narrow display bezels making it a slim professional laptop. The ConceptD 5 has a starting price of $1,699 (approximately Rs 1,18,200). The Acer ConceptD 900 is the high-end desktop for professional use. It packs a dual Intel Xeon Gold 6148 processors with up to 40 cores, and 80 threads paired with an NVIDIA Quadro RTX 6000 GPU. The ConceptD 900 comes with 12 memory slots which can give a total of up to 192GB of ECC memory. The chassis of the ConceptD 900 has a matte black finish with amber LED accent lighting, and it is also capable of holding up to five storage bays for RAID 0/1 drives. Since it is a costly desktop aimed at the professionals, it comes with options for upgradability. Users can get three free PCIe x8 and four PCIe x16 slots. The ConceptD 900 comes with a starting price of $19,999 (approximately Rs 13,91,260) and it will start selling in the US from May onwards. On the other hand, the ConceptD 500 comes with a sleek and smooth curved design on all sides and it also comes with a woodgrain finish on the top. The ConceptD 500 has a Qi wireless charging pad along with a retractable headphone stand which makes it stand apart from the other professional desktops. It is powered by up to 9th Gen Intel Core CPU paired with NVIDIA Quadro RTX 4000 GPUs. In other words, the ConceptD 500 is an affordable version of the ConceptD 900. The prices of the ConceptD 500 starts from $1,699 (approximately Rs 1,18,200) and it will be available in the US from June onwards. 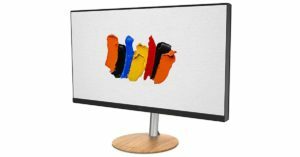 The ConceptD CM7321K sports a 32-inch 4K Ultra HD display panel which is DisplayHDR 1000 certified and has 1152 zones of local-dimming LEDs. The ConceptD CM7321K is aimed mostly for 2D creators and artists and it comes with things like 99% coverage of Adobe RGB colour space and 89.5 percent Rec.2020 for mastering content. The ConceptD CM7321K holds a price tag of $3,199 (approximately Rs 2,22,500) and it will be available in the US from September onwards. Lastly, the ConceptD CP7271K is the second monitor launched by Acer in its ConceptD series of products. The ConceptD CP7271K comes with 27-inch display which is mainly aimed for the 3D creators and artists. It has a Pantone-validated display and it comes with a colour accuracy of Delta-E <1 along with a wide colour gamut of 99 percent of the AdobeRGB colour space. Being a monitor, the ConceptD CP7271K comes with 93 percent DCI-P3 colour space. It has G-SYNC Ultimate and DisplayHDR 1000 which gives it a professional-grade colour and image detail. The ConceptD CP7271K will sell for $1,999 (approximately Rs 1,39,100) and it will be available in the US from July onwards.